Playroom Project: Part One – The before pictures. 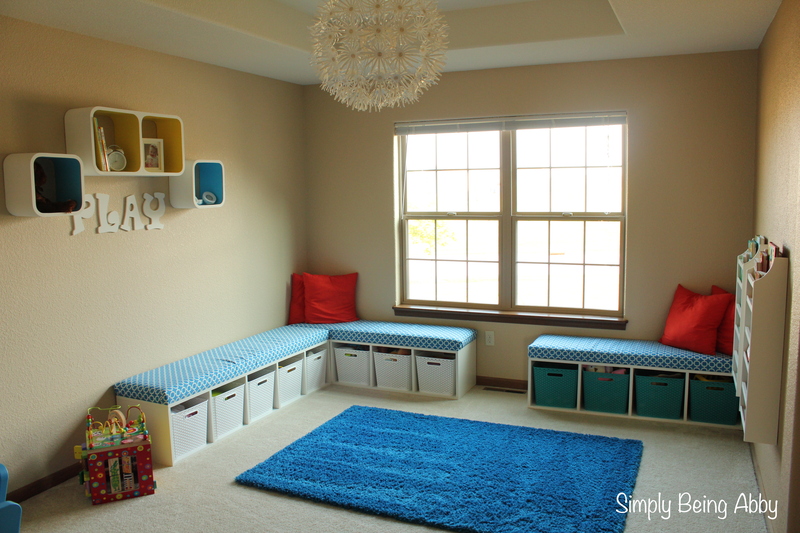 Playroom Project: Part Two – My husband built the toy storage benches himself! Find out how here. 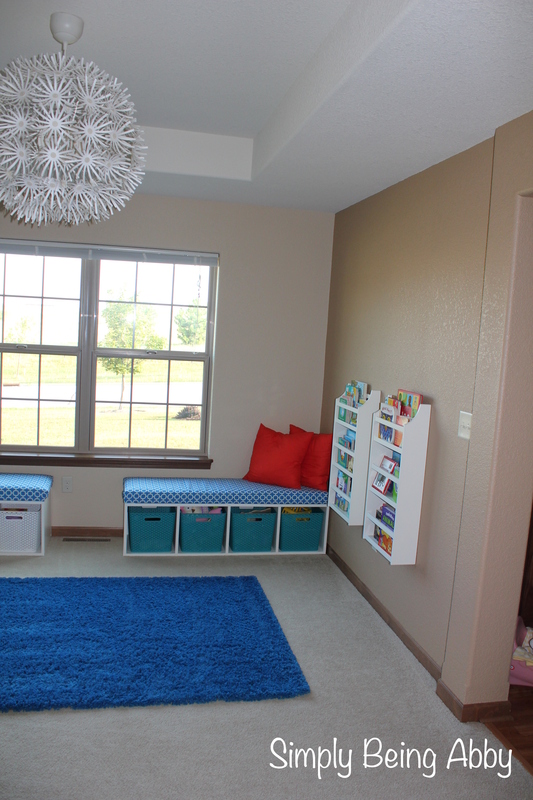 Playroom Project: Part Three – We also made upholstered tops for the benches. Find out how here. Playroom Project: Part Four – This post tells you where the room décor is from, as well as all about the updated light fixture. Madalyn LOVES to read. I would triple-capitalize the word “love” if I could. Most days she ignores all of her toys and reads. Because of Maddy’s love for books, I wanted to come up with a way to store her books instead of just using the bins. I wanted something that would be easily accessible for her, but that would also look nice in the playroom. 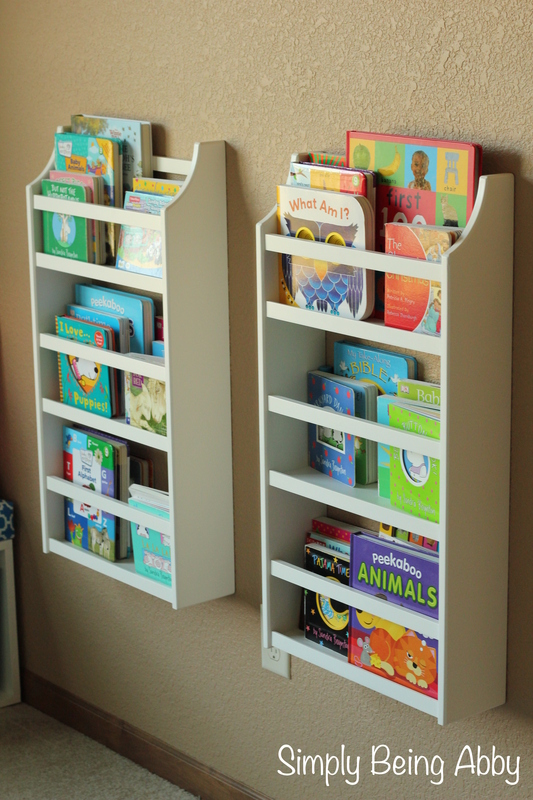 I decided on the Hayden Simply White Magazine Rack from Pottery Barn Kids. I purchased two of the racks so we would have enough storage space for her ever-growing collection of books. I also wanted to fill the space on the wall and thought that the two racks looked better than just one, in this case. 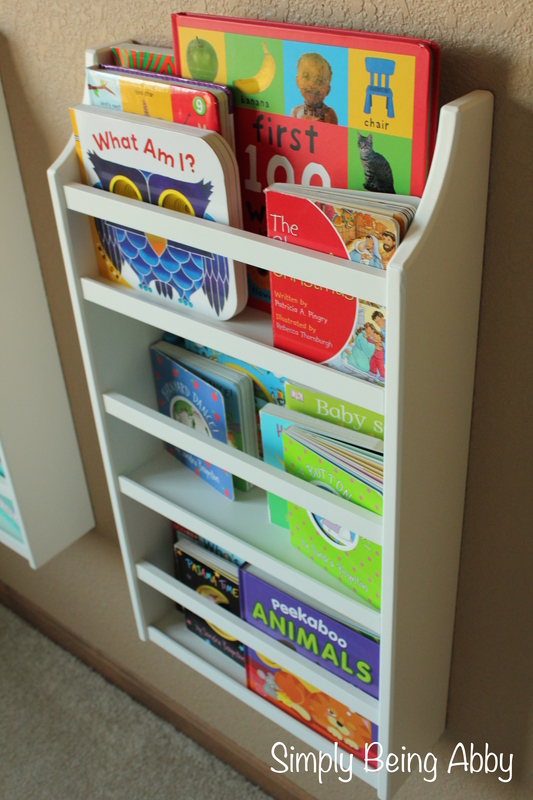 Maddy still has some storage space left in these magazine racks for more books! She enjoys walking over to the racks and picking out a book to read. She can not reach the top shelves yet, but I rotate the books around so she is still able to have a variety to choose from. Also, I have to tell you, PB Kids customer service is awesome. We don’t have a store in our area, and when I called the closest store (a two hour drive away) to see if they had the magazine racks in stock, they offered to ship it for free to my house! Seriously awesome. Maddy loves the table and chairs we purchased from Ikea recently. They are the perfect size for her now and they will continue to work for years to come! 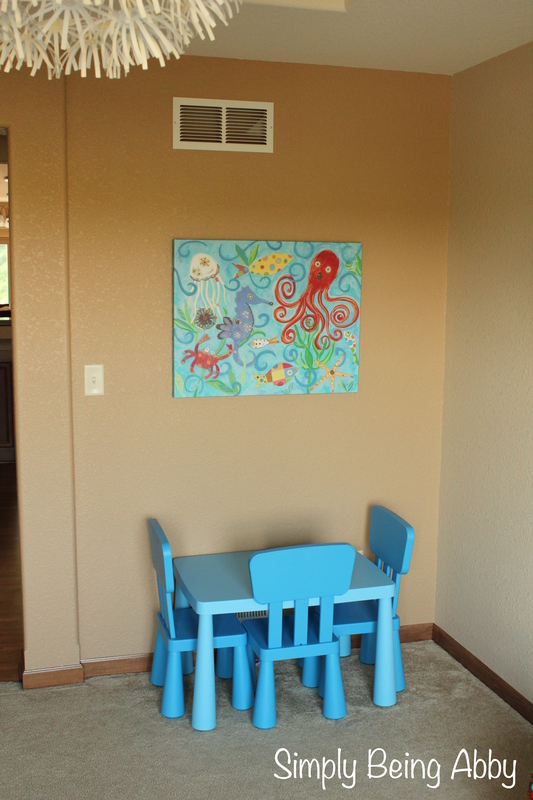 Lucky for us, Ikea makes this table in the perfect color to match our playroom! This is the Mammut table and matching chairs. 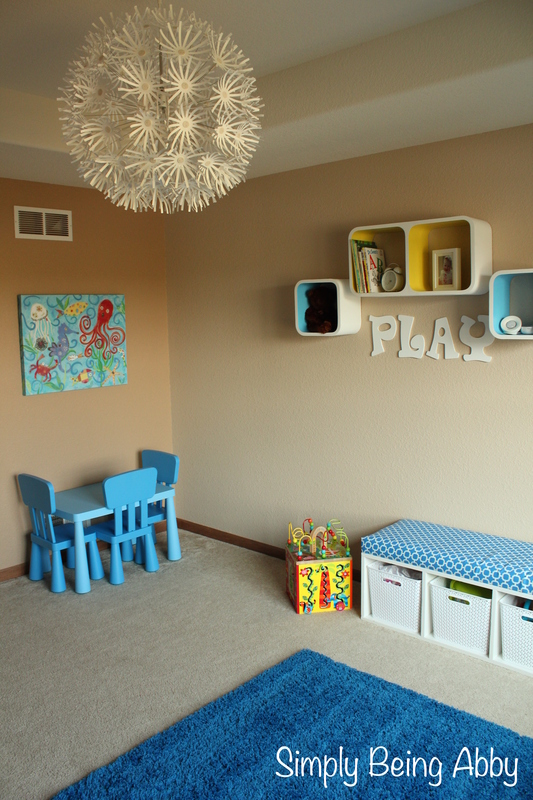 The plastic material makes this table perfect for a playroom — durable and super easy to clean. I love that this room continues to grow with Maddy and couldn’t be happier about our new finds!